The Wall Tellescope display head by Tech Lighting combines minimal design style with high-functionality. 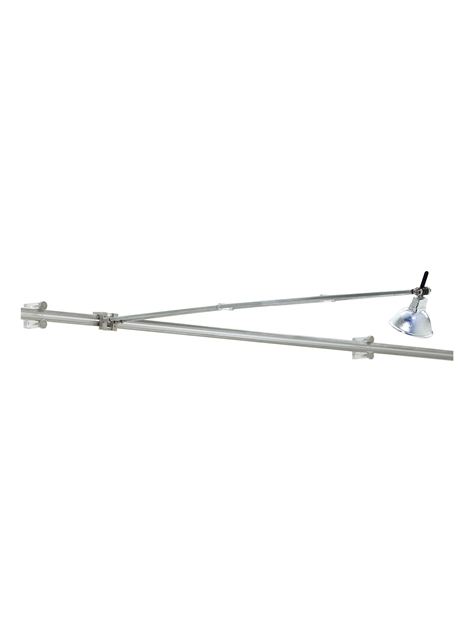 This simple display head puts light where you need it the most with its 9° to 25° pivoting head and seamless integration onto the Wall MonoRail system. The Wall Telescope head is available in two on-trend finishes and can combines flawlessly with a myriad of complementary accessories also available by Tech Lighting. This low-voltage display head is ideal for commercial and residential lighting applications such as libraries, galleries and hallways. The Wall Telescope accommodates a fully dimmable MR16 lamp (sold separately). Telescopes from 9" to 25". Pivots at head to direct beam. Low-voltage, MR16 lamp of up to 75 watts (not included). For Wall MonoRail system only.